We have already talked about how different the rules of conduct, officially and unofficially prescribed motorist, in Russia and in neighboring Belarus, where, despite the lack of visas and language barrier, you can stumble upon a rather unpleasant "pitfalls".What can we say about other neighbor countries, where in the case of unawareness or disregard of various "trifles" the driver could jeopardize not only his purse but also an opportunity to further travel to the Schengen countries?In particular, these countries are the Baltic states and Poland. Going through their border by transit, or simply going to rest on relatively humane prices, we should not forget that. In Lithuania, in terms per 1,000 people more vehicles than in St. Petersburg.In addition, many generations of Lithuanians with the appearance in the nature of this "beast" like a motorcycle, addicted to this means of transportation.Here loves the speed and therefore the authorities have ever (and have to) make a lot of efforts to rein the national instinct. It is especially difficult for novice drivers. And if you see on the car sticker with pale green maple leaf — this is a sign of "novice" who do not have two years driving experience.It made vibrantly attitude on the road to him, do not honk and wait patiently until he "brake" and "sick" (signals are generally not accepted, although, of course, anything can happen), and all kinds of foster its passage. 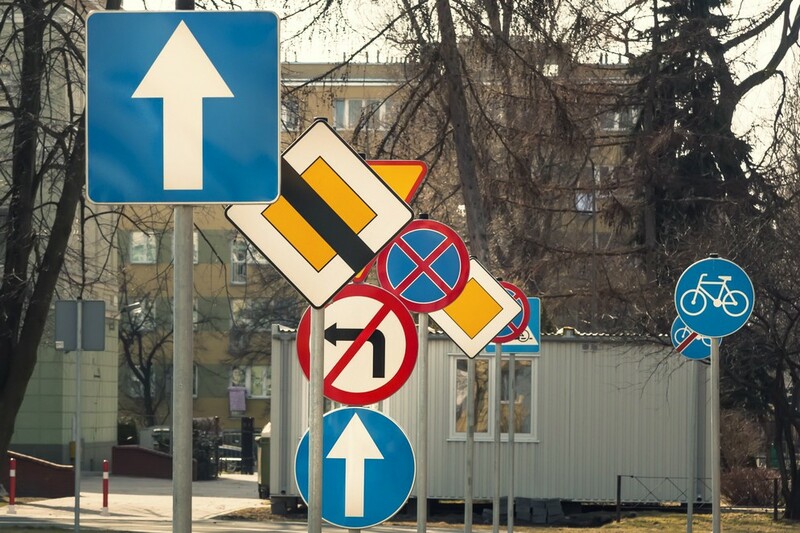 But the rules of the road for novice in Lithuania are stiffer than the driver with the experience. So, he cannot drive faster than 70 km / h. And if he has violated the traffic rules, the punishment will be severe.So, if the allowable of blood alcohol norm in Lithuania 0.4 ppm, the motorcycle, truck drivers and novice drivers are allowed only 0.2.If the device is set from 0.2 to 0.4 ppm (not to mention the higher concentration), all get off with a fine, albeit serious, but the novice driver will be deprived of the drivers license to a few months.The same will happen in case of exceeding speed — especially repeated. Talking about the speed. The Lithuanian settlements (unless otherwise specified by a traffic sign) it is 50 km / h. Outside the city — 90 km / h.On motorways from November 1 to March 31, it should go no faster than 110 km / h and in the rest of the time — no faster than 130 km / hour. Up to 10 km of excess is a warning or a small fine. But then the fines are growing almost exponentially. In Lithuanian drivers like us, taken to warn each other of by flashing about the police "ambush", but not always it can help the violator: in Lithuania, the traffic police have the right toride in cars with no markings and detect violations incognito.They don’t need to chase — but be assured, during your way they find a way to inform you that on such and such a kilometer, you have committed such a violation.The consequences can be serious. By the way, be prepared to the fact that they can check, for example, the presence of a reflective vest in the car — it is compulsory for all those who need to move around in the dark. However, if you are stopped by a police officer with a rod — that does not mean that he necessarily wants to punishyou for something.He can see himself, that the alien was in a quandary — entangled in the pointer cannot find the correct address or is in doubt about what is possible or not to park in a particular place.In this case, calmly explain your problem to the policeman, and you'll get help, even if made an involuntary ’cant’. In the author practice happened that the Lithuanian police one night helped to get to a budget hotel, the author was able to relax in a long journey.And once, to help me go in the "rush hour" from the sudden "brick", Vilnius police even stopped the oncoming traffic. Once a police car with flashing lights behind me drove a few blocks, and then sitting in there police explained in detail how to get to the desired point in the narrow medieval streets. Remember that from 1 November until the end of March in Lithuania mandatory winter tires, and only in this period permitted studdable (the car should has a sticker on the presence of spikes).But if you have entered in the winter through Lithuania to Poland studded tires, then get ready for the problems. Here spikes are prohibited. The Russian-Polish and Belarusian-Polish border with studs you just do not drive through.But there are no borders between EU countries in fact and without inquiring the Polish traffic rules, you may find yourself in an awkward position.Be good ifthe police, stopping you on the road, just will force you to buy new tires. Worse would be if you'll see in the morning on their wheels lock, will call on the required number, release the machine, and then pay a fine — and still buy new tires.Some indeed, prefer to pick out spikes (particularly if winter tires are not new), but it's not a pleasant occupation. By the way lock can wait for you in the case of illegal parking. In Poland traffic rules more stringent this year.The fines and other measures — from criminal cases to the deprivation of drivers license — have become undeviating and harsh: for speeding, for drunken driving (0.2 ppm limit is for all), for the creation of a dangerous traffic situation…The fact is that this country is considered one of the most dangerous in the EU on the situation on the roads.However, much of a difference between the Baltic safe and dangerous Poland is not visible for us. But it must be kept in mind. Here an active movement, large cargo transit flows. Many roads go through dozens of settlements, sometimes on their central streets, where there are "undisciplined pedestrians" (there is a local road warning sign showing the two hard-standing and supporting each other figure — he is placed near some pubs). The speed on the roads outside the city is no more than 90 km / h in the settlements — 50 km / h (at night — 60 km / h). But apart from the usual roads and highways there is a network of freeways. 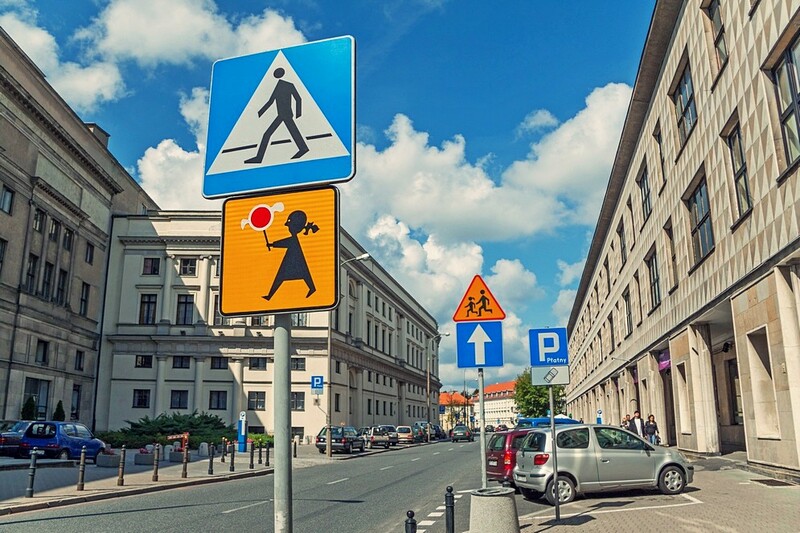 Highways are divided into two-lane by a dividing strip from where you can go up to 100 km / h, and a four, where allowed the speed to 120 km / h. On the freeways, you can be dispersed to 140 km / h.
What attracts attention on Polish roads — are very common sign language. The narrow two-strip with narrow roadsides, moreover running through towns and villages with intersections, traffic lights, sharp turns, and the railway crossing, no one wants to go for too long, so the only way — to try not to interfere with each other. Everyone understands that cannot do without overtaking and without having to pass each other, and strive in every way to show their intentions in advance. Pull over to the roadside if some faster is behind. Shortly honk lights, if you're going to go on overtaking (but not blinking aggressively going ahead already had to understand you, to take note and squeeze up as soon as possible). Show any way that you pass, etc. Light signals are accompanied by gestures and characteristic facial expressions, and sometimes replaced by them.It is noticed in this: if in front of cars string someone leaves the parking by reverse or vice versa, parka car, or more, for some reason, it slows to commit one or another maneuver — the whole flow will wait patiently without a shadow of a visible discontent.But be assured — then everyone in this column will strive to compensate for the lost seconds or minutes, not always be puzzling of strict observance of traffic rules. Many Russians live concepts on Poland from the early 1990s, when I visit there, were most afraid Hijackers and bandits, but the case of the meeting with the police laid in store a certain amount of a bribe. Since then, a whole era has passed. 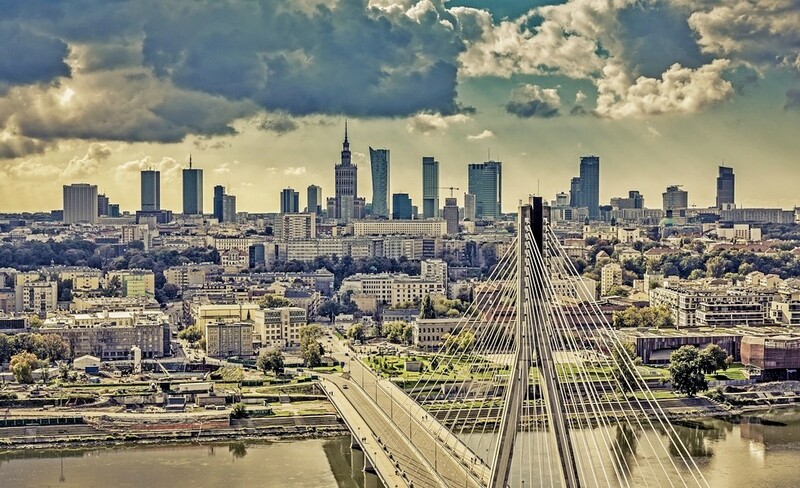 If you do not have aimed to visit those areas of the cities, which is the glory of crime (such is, and even in the guidebooks are recommendations in the dark to get to beware) on Polish roads and parking lots safer than in some Russian regional centers. Poke Dollars, Euros or Polish Zloty the policeman are no longer recommended. If you have broken something, not very seriously, and not out of malice — you have a chance it's just humanly to explain and you will be forgiven if you impress upon sympathy. Every, of course, happens in life, but Poland is really strugglingwith corruption. As we see there aretwo neighborhood countries have their differences. The same almost indiscernible nuances exist in Latvia and Estonia. So to all foregoing (and we touched on only a few subjects because of their complete enumeration fully pull on a heavy brochure) should be added perhaps that following.All countries are different. In each of them there are rules which may change — both officially and by the occurrence of some driver's tradition.So, before you go in the rout, read the appropriate sites and forums, with the most recent date.You will find both the links to the new legislative acts, and practical recommendations of those who have already burned to the ignorance of some details or, on the contrary, have successfully solved the road problem looked complicated.